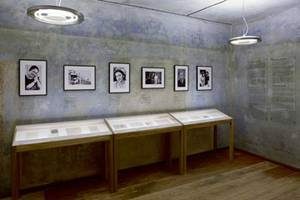 The Anne Frank Zentrum is the German partner organization of the Anne Frank House in Amsterdam. The permanent exhibition “All about Anne” on view at our headquarters near Hackescher Markt in the heart of Berlin turns the spotlight on Anne Frank and her diary. Numerous historic photographs and documents illustrate the stations of her life. 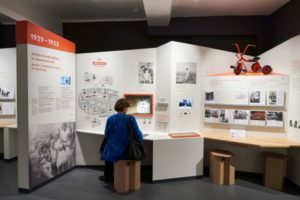 The presentation is a learning environment that lets visitors explore Anne Frank’s life and diary and helps them develop a personal interest in the history of the Holocaust. Interactive installations encourage them to engage with the material and find their own answers to the question of what Anne Frank’s story has to do with their own lives today and what it means to them. Our educators offer guided tours of the exhibition for school and other groups that are custom-tailored to their age and level of previous knowledge. We also regularly hold events such as readings, conversations with Holocaust witnesses, film screenings, seminars, and panel discussions. Most of the exhibition “All about Anne” is inclusive, with monitors displaying translations into sign language and an orientation system for blind visitors. A comprehensive glossary and labels and wall texts in plain language ensure that the presentation is accessible to all visitors, including those with learning disabilities. Among the tactile exhibits are a model of the Secret Annex, a portrait of Anne Frank, and a Braille edition of her diary. The Anne Frank Zentrum is part of a diverse ensemble of institutions that share a historic edifice, the Haus Schwarzenberg. In addition to the Anne Frank Zentrum, the building at Rosenthaler Straße 39 is also home to the Museum Otto Weidt’s Workshop for the Blind. After many years of debate, the German Parliament finally decided to build the “Memorial to the Murdered Jews of Europe” on June 25, 1999. The memorial was built from April 2003 to May 2005 following New York architect Peter Eisenman’s designs, modified by the addition of an underground Information Centre (Ort der Information). It is located right in the middle of Berlin, in close proximity to the Brandenburger Tor and the Reichstag building. The memorial designed by Eisenman, made up of more than 2,700 concrete slabs, or “stelae”, of varying heights, is an illustration of the critical analysis surrounding the conventional concept of memorials; it attempts to “develop a new idea of remembrance”. As Eisenman says, amidst the Field of Stelae there is “no goal, no end, no way in or out”. 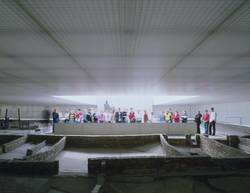 The underground Information Centre is designed to be an informational supplement to the abstract form of remembrance conveyed by the memorial. Four rooms, arranged thematically, provide information about the victims to be honoured and the historical memorial spaces. In order to personalise the remembrance, exemplary histories of families destroyed due to the Holocaust are displayed, amongst other things; in the Room of Names, there are also the readings of short biographies of those Jews who were murdered or presumed dead. In its decision, the Parliament said that Germany wants to honour the six million Jews who were murdered by the National Socialists with this memorial, while also keeping the memory of an unimaginable part of German history alive. The Foundation for the Memorial to the Murdered Jews of Europe also oversees the Memorial to the Homosexuals Persecuted under the National Socialist Regime and the Memorial to the Sinti and Roma Murdered under the National Socialist Regime. The Memorial to the Murdered Jews of Europe is furthermore responsible, in cooperation (jointly with) with the Topography of Terror, for both the implementation and supervision of the Memorial and Information Point for the Victims of National Socialist ‚Euthanasia‘ Killings at the operational headquarters, Tiergartenstraße 4 in Berlin. Individual visitors can take part in a public tour or discover the Information Centre through the use of an audio guide. Visiting groups can book more detailed tours or workshops with visitor services. Free Guided tours through the field of stelae and the The underground Information Centre take place every Sunday at 3 p.m. (1,5 hours). Information Centre: April to September Tues-Sun 10-8pm (last entry 7:15pm). October to March Tues-Sun 10-7pm (last entry 6:15pm). Closed: January 1st and December 24th to 26th and December 31st. The German-Russian Museum is a unique bilateral institution. It is located at the historical site of the unconditional surrender of the German armed forces (Wehrmacht) on May 8, 1945. With the act of ratification of the surrender document in Karlshorst, World War II came to an end in Europe. Until 1949, the Wehrmacht pioneer school’s former officers casino served as the headquarters of the Soviet Military Administration in Germany. It was here that in 1949, the Soviets handed over administrative authority to the first government of the German Democratic Republic (GDR). From 1967 to 1994, the building contained a branch of the “Central Museum of Armed Forces Moscow” featuring the unconditional surrender of fascist Germany in the Great Patriotic War 1941-1945. In 1991, as a symbol of their new collaboration, the Federal Republic of Germany and the Russian Federation decided to jointly found a museum at this historical location, depicting the history of German-Soviet relations from 1917 to 1990. The focus is on the war of extermination against the Soviet Union from 1941 to 1945. Alongside the historical spaces and the permanent exhibition, the museum regularly shows special exhibitions. Central themes are the remembrance of the war, issues regarding German-Russian relations and the museum has developed a particular amphasis on war photography. The museum’s work is dedicated to fostering a closer relationship and better understanding between the two countries. You can register for free tours in German, Russian, English, Polish or Spanish for groups of 10 to 30 people. The last well-preserved former Nazi forced labour camp is located in Schöneweide. In the Second World War it served as one of the more than 3000 collective accommodations dispersed throughout the city for forced labourers. The camp was erected in the middle of a residential area at the end of 1943 by the »General Building Inspector for the Reich Capital« (GBI), under the direction of Albert Speer. The 3.3 hectare grounds contained 13 stone housing barracks and a central administration building. Here were housed male and female civilian forced labourers from different countries, Italian Military internees as well as female concentration camp prisoners. The Documentation Centre on Nazi Forced Labour opened in the summer of 2006 on a part of historical grounds that once belonged to the camp and which are today protected as a monument. Since August 2010 the well preserved »Barrack 13« is open to the public during guided tours. It is the best preserved of all the housing barracks. In addition to its many original building details, several of the barrack’s cellar walls bear inscriptions from Italian forced labourers. Since May 2013 the permanent exhibition »Forced Labour in the Daily Round 1938-1945« is telling about the history of Nazi Forced Labour as an everyday phenomenon, the permanent exhibition »Between two stools« is informing about the italian military internees. An Audioguide in different languages is guiding through the exhibitions, the camp ground and the neighbourhood. The Nazi Forced Labor Documentation Center is continually offering public lectures and an educational program such as guided tours, workshops and Seminars. 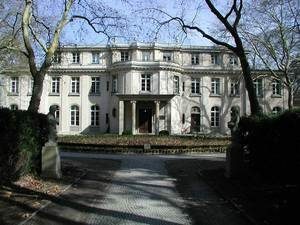 On January 20, 1942, high-ranking members of the SS, the police force, the government administration and the National Socialist German Workers’ Party (the NSDAP or Nazi party) met to discuss the “final solution of the Jewish question” in the Villa Minoux on the Greater Wannsee, the guesthouse of the Security Police and the Security Service SD. Since 1992, the memorial and educational site has had a permanent exhibition in the Wannsee Conference’s historical rooms, with a specialised library and a sophisticated set of pedagogical tools at the visitor’s disposal: tours of the exhibition accompanied by discussions, small group work in the exhibition rooms and the library, seminars held for one or more days. The exhibition and library are open to individual visitors; groups must register in advance, especially if they would like to take advantage of the educational opportunities which are offered here. The speakers and the groups’ supervisors will discuss in advance and in detail which topics they would like to discuss, the inclusion of any previous knowledge or questions held by the group as well as what pedagogical direction or methodology should be used. The site’s target groups are students from all kinds of schools, young people doing their job training, adults doing further occupational or political education as well as multiplicators. The memorial site has developed study days which are specifically geared to members of particular occupations. These seminars deal with how representatives of those very occupations positioned themselves in relation to the crimes of National Socialists. The educational offering is free for students. People who are employed are asked to contribute two euros. Tours and seminars can be held in many European languages as well as in Hebrew. The German Resistance Memorial Center is located at 13–14 Stauffenbergstraße, on the historical site of the attempted coup of July 20, 1944, at the former Army High Command. 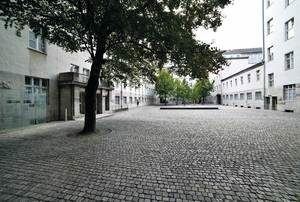 Since 1953, the commemorative courtyard had been a site of remem-brance for resistance to National Socialism. Closed on the 24th until 26th and 31st of December and on January 1st. Free guided tours for groups of 8 and more persons in German, English, French or Italian, by arrangement (please register eight weeks in advance). The Plötzensee Memorial Center commemorating the victims of National Socialism is a European site of quiet remembrance. From 1933 to 1945, nearly three thousand people unjustly sentenced to death by the National Socialist judiciary were executed here. They included more than 1,400 Germans and more than 1,500 other people from over 20 other nations. Today, the execution chamber is a memorial. 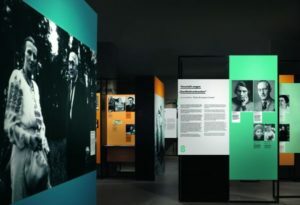 The exhibition in the room adjoining it documents the practice of the National Socialist judicial and penal system in a permanent exhibition in German and English. A computer terminal presents information on all those murdered in Plötzensee. This documentation is constantly expanded. This documentation is constantly expanded. 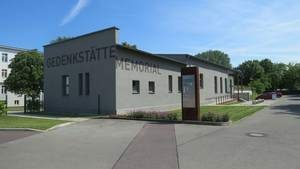 The content and organization of the Plötzensee Memorial Center is maintained by the German Resistance Memorial Center Foundation. Remembrance room for the German and internional victims of National Socialism. Permanent exhibition on the National Socialist judicial and penal system. then Bus 123 to bus stop „Gedenkstätte Plötzensee“. The Memorial Center is a five-minute walk from the bus stop. The site is dedicated to quit remembrance. No tours are held. commemorates those people who supported persecuted Jews during the Nazi dictatorship. The example set by these helpers– often referred to as „silent heroes“–shows that there was in fact leeway for maneuvering to help people at risk in Nazi Germany and in the German-occupied territories. The permanent exhibition presents information about the persecution and plight of Jews facing imminent deportation, about how some of them decided to resist the threat to their lives by going underground, and about the actions and motivations of the men and women who helped them. Not only successful rescues are documented, but also failed attempts. Mondays to Wednesdays, and Fridays: 9 a.m. to 6 p.m.
Thursdays: 9 a.m. to 8 p.m.
Saturdays, Sundays, and public holidays: 10 a.m. to 6 p.m.
On April 21, 1945 with the approach of the Red Army, the SS forced 30,000 prisoners from the Sachsenhausen Concentration Camp, among them women and children, to walk northwest on a death march. For most of them, the march ended with their liberation between the 3rd and 6th of May 1945 around the Parchim, Ludwigslust, Schwerin area. However, hundreds died on the way or were shot by the SS. The majority of the group, more than 16,000 prisoners, were gathered together near Wittstock in the Below Forest from April 23rd to April 29th. They were forced to camp here in the forest without any lodging or provisions, fenced in with barbed wire and watched over by a chain of guards. The commando officers stayed in a shepherd’s house in the forest across from where they were and the concentration camp commandant Kaindl stayed in Below for a short time with his entourage. After negotiating with the SS, a delegation from the International Red Cross was permitted to hand out food packages and set up an emergency hospital in the neighbouring village, Grabow. After having been newly designed, the Death March Memorial Site in the Below Forest was re-opened in April 2010 for the 65th anniversary of the liberation. The focus of the site is the historical forest area which covers about 20,000 sqm. Many trees have inscriptions on them which were made by the prisoners. 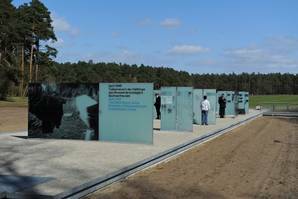 The new open air exhibition, „April 1945: The Sachsenhausen Concentration Camp Prisoners’ Death March” is located on a plateau close to the forest. It uses glass columns with texts, photos, documents, drawings and numerous survivor reports to provide information about the evacuation of the Sachsenhausen Concentration Camp, the death march, the Below forest camp and the liberation. In addition, artefacts from the Below Forest are displayed in a temperature-controlled glass display case. There is now an educational project space located in the former museum building, which had been damaged in 2002 by an extreme-right arson attack. The monument which was erected in 1975 was renovated as part of the work on the site’s new design. A 24 (Berlin-Hamburg, Pritzwalk exit) and the A 19 (Berlin-Rostock, Wittstock exit); in Wittstock take the L 153 direction Röbel, left after Alt Daber, then follow signs. The open-air exhibition and the historical forest site are accessible during daylight hours. Educational projects and tours must be booked in advance. Tours / project days for a maximum of 15 people cost 15 Euro, 25 Euro for up to 30 people. Tours in foreign languages will cost an additional 25 Euro. In 1936, the SS constructed the Sachsenhausen Concentration Camp on the outskirts of Oranienburg. Sachsenhausen adopted a special position in the concentration camp system as a model camp in close proximity to Berlin. The SS administration centre for all concentration camps was also located here. Until 1945, more than 200,000 people from all over Europe were imprisoned in Sachsenhausen; tens of thousands died from hunger, sickness, forced labour and abuse, or were victims of systematic extermination. In the main area of the former concentration camp, there was a Soviet Special Camp called No. 7/No.1 from 1945 to 1950. 60,000 people were imprisoned in these barracks by the Soviet Secret Service; 12,000 of them died of hunger and sickness. In 1961, the Sachsenhausen Memorial Site was opened. It has been part of the Brandenburg Memorials Foundation since 1993. 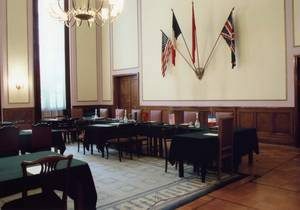 The international Youth Exchange Site »Haus Szczypiorski« is available for educational events taking place over several days. At the moment, there are 12 permanent exhibitions covering diverse aspects of the historical location (Events and Developments, Jewish Prisoners, The Prisoners »Daily Life«, Medical Care and Crimes, Murder and Mass Murder, City and Camp, Oranienburg Concentration Camp, History of the Memorial Site, Prison, Inspectorate of Concentration Camps, Concentration Camp SS, Soviet Special Camp). Almost all museums and exhibitions are wheelchair accessible. On Mondays, the museums, the archive and the library are closed. 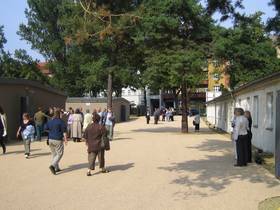 The open air exhibition “Murder and Mass Murder in the Sachsenhausen Concentration Camp”, the memorial site “Station Z” as well as the visitors’ information centre are open. There is a fee for educational services. Tours in foreign languages will cost an additional 25 Euro. Between 1933 and 1945, the Nazi judicial system ran an inhuman penal regime in Brandenburg Görden prison. It was characterized by near-starvation, unhealthy working conditions and differing treatment based on racist criteria. Up to sixty per cent of the inmates were political prisoners. After start of the war, convicts were sent to Brandenburg Görden from all over Europe. From 1942 onwards, the judiciary allocated a portion of the prisoners to the concentration camps for „extermination through work“. 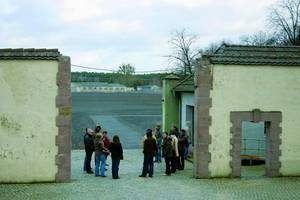 The execution facility set up here in 1940 was used to kill approximately 2,030 people from German Reich territories and many European countries between then and 1945. In the years after 1949, Brandenburg Görden became one of the largest prisons for political prisoners in East Germany (GDR). A memorial site was established in the premises of the former Nazi execution facility in 1964. The memorials of Brandenburg an der Havel also offer seminar rooms as well as a specialized library and an archive. The Memorial’s rooms are inside the current correctional facility and so they can only be visited by prior arrangement. Admission free; guided tours and project days for school groups from Brandenburg are free of charge; prices for others on request. The Ravensbrück Concentration Camp, built in 1939 close to the small town of Fürstenberg/Havel, was the largest concentration camp for women on German soil. Between 1939 and 1945, 132,000 women, 20,000 men and 1,000 young women from the ”Youth Protection Camp Uckermark” were registered as prisoners. The prisoners came from over 40 countries; there were many Jews as well as Sinti and Roma among them. Tens of thousands were murdered or died from hunger, illness or medical experimentation. After the Red Army liberated the camp on April 30th, 1945, the land was used by them for military purposes until 1994. The Ravensbrück Memorial Site, opened in 1959, has been a part of the Brandenburg Memorial Foundation since 1993. The Ravensbrück Memorial Site, which has been expanded to include extensive parts of the historical concentration camp complex, nowadays combines remembrance, research and historical-political educational work. The Ravensbrück International Youth Exchange Site with an affiliated youth hostel was opened in 2002. The educational services office organizes events lasting over a period of several days. In addition, tours and project days are offered. Since 2007, the tour begins and ends in the new Visitor’s Centre. Since April 2013, the new main exhibition “Das Frauenkonzentrationslager Ravensbrück – Geschichte und Erinnerung” is on display in the former commander’s offices. For the first time, this exhibition provides comprehensive insight into the history of the camp complex Ravensbrück, including the camps for women and men, the “Youth Protection Camp Uckermark”, the “Siemens-Camp” and numerous satellite camps. Exhibitions about the wardens and SS officers in the Ravensbrück Concentration Camp can be seen in one of the former warden’s houses and in a former commander’s living quarters. There is an exhibition in a former cell-block which gives information about the camp prison. The Memorial Site is accessible from 8-6pm, and in the summer (May 1st-September 30th) until 8pm. You can register for tours, project days and seminars. Tours/project days for a maximum of 15 people cost 15 Euro, up to 30 people: 25 Euro. Tours in foreign languages will cost an additional 25 Euro. The museum Otto Weidt’s Workshop for the Blind tells the story of Otto Weidt’s Workshop for the Blind. During the Second World War the brush manufacturer Otto Weidt employed mainly blind and deaf Jews who produced brooms and brushes here. Various life stories testify to Otto Weidt’s efforts to protect his Jewish employees from persecution and deportation. As danger grew, he searched for hiding-places for some of them. One of these hideouts was in the rooms that are now part of the museum. Following the museum tour, visitors can also take a guided tour of the locality, Spandauer Vorstadt (Spandau Suburb), on the track of places directly connected with the history of the Workshop for the Blind. The content and organization of the museum Otto Weidt’s Workshop for the Blind is maintained by the German Resistance Memorial Center Foundation. Group tours by arrangement from 9 am. Admission free. The museum offers tours free of charge. Please book in advance. Tours in English, Italian, Turkish and French by arrangement. The New Synagogue had its formal opening as a part of the Jewish New Year’s celebration in 1866. The New Synagogue was the largest Jewish place of worship in Germany, with 3,200 seats. The famous Berlin architect Eduard Knoblauch’s (1801-1865) design was inspired by the Moorish style of the Alhambra in Granada. The gilded ribbing design of the over 50 meter high dome was famous in and outside of Germany. The building was desecrated in the 1938 November Pogrom, however it was protected from any extensive damages. It was badly damaged due to bombings during World War II and the synagogue’s main room was blown up in 1958. In May 1995 the synagogue was reopened as the Centrum Judaicum (Jewish Centre) serving as a source of information for Jewish life and featuring the permanent exhibition “Open Ye the Gates” (Tuet auf die Pforten). Continuing in the tradition of the New Synagogue, the Centrum Judaicum seeks to communicate the history of the building and its occupants and its connection to the present and the future. Juxtaposed with temporary exhibits the narrative of Jewish Berlin is made all the more tangible. Tours can be booked in advance and individual visitors can explore the New Synagogue’s permanent exhibition with an audio guide. The audio system provides additional background information. Audio guides are available in German, English, Italian, French, Spanish, Hebrew, Arabic, Polish, hebrew and Russian. Between 1933-1945, the central institutions of Nazi persecution and terror were located at the side of today’s “Topography of Terror” on Wilhelmstraße and the former Prinz-Albrecht-Straße (today: Niederkirchnerstraße); including the Gestapo, the SS and from 1939 on the Reich Security Main Office. Since 1987, the exhibition “Topography of Terror” has provided information about this historical site and illustrates the European dimensions of the Nazi reign of terror. 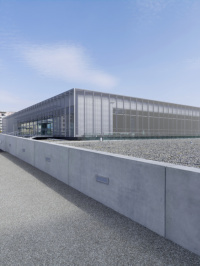 The new Topography of Terror Documentation Center was opened in May 2010. The exhibition and documentation building includes the completely revised permanent exhibition which can be seen in German and English, a reference library (about 36,000 volumes) and a seminar centre.The historic site, including the actual physical traces of the past, was newly designed. The Topography of Terror Foundation focuses on the presentation of exhibitions, the holding of public talks and discussion events as well as conferences and seminars. The foundation manages numerous coordination and advisory activities within the field of memorial site work and the culture of remembrance, on both a national and international level. Since 2005, the foundation has been in charge of the Nazi Forced Labour Documentation Center, which is located in Berlin-Schöneweide.